Why must there be an energy transition? A glimpse into european political debate: is energetic transition really mandatory for everybody ? During the coming two decades, what changes should a global group in petroleum and gas prepare for? Are conventional turbines winners or losers in the energy transition? 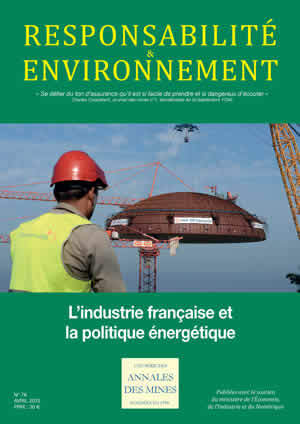 Can energy-intensive products still be made in France? A new energy model and new governance: A chance for small and midsize companies? What if some basic industries cannot forgo fossil fuels? Nuclear power and the energy transition: Which innovations for adaptation?